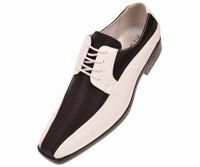 Tuxedo shoes are made for one purpose and one purpose only, to wear with the tuxedo of your choice for Proms and Black tie events. 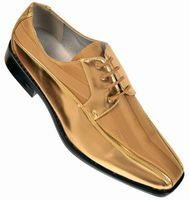 Don't go ruining a perfectly good black tie event by wearing the wrong dress shoes with your Tuxedo or Formal Wear especially if you're going to the Prom. 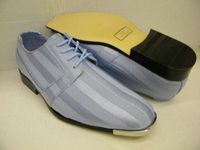 They have a different look than your basic Stacy Adams Shoes do. 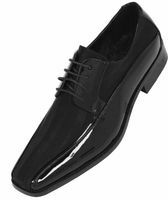 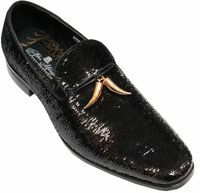 If you're wearing a tuxedo you're going to need to wear the right style Tuxedo Shoes to make your formal wear complete. 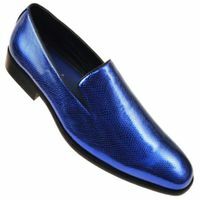 At ContempoSuits.com, we have men's Tuxedo shoes that are unique and not seen everywhere in practically every color you could want to match your satin dress shirts and satin vests which will make you stop the crowd. Perfect for Prom night. 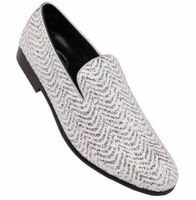 Don't ruin a great evening wearing some horrible rental shoes that don't belong with your Tuxedo. 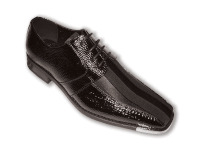 When you buy Tuxedo Shoes, to match your tuxedo or tuxedo shirt, you will look your absolute stellar best. 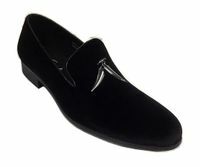 So, when the time comes to buy tuxedo shoes, If you like Italian style suits, take a look at Statement Suits. 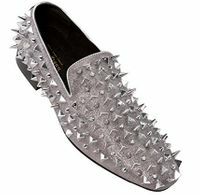 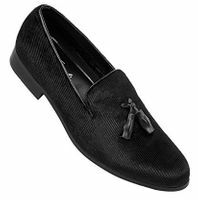 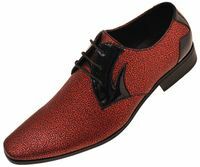 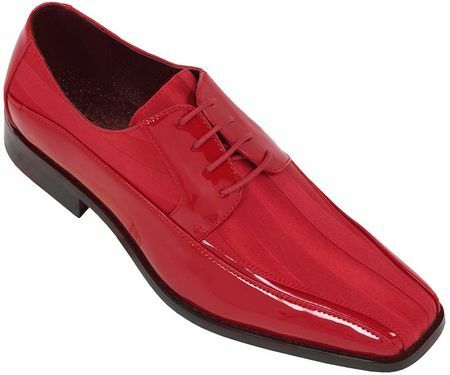 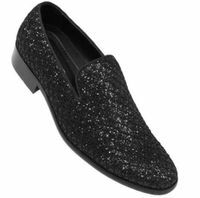 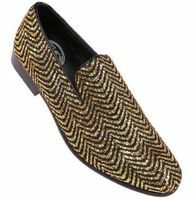 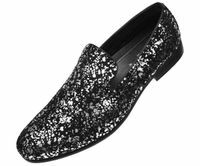 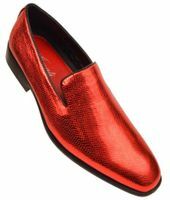 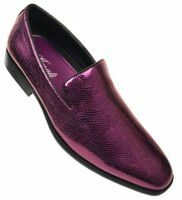 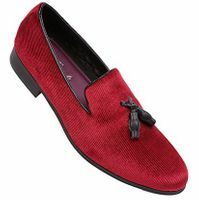 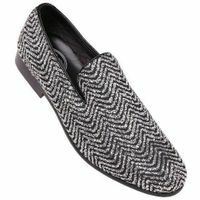 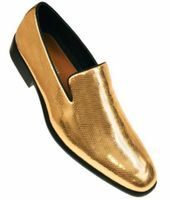 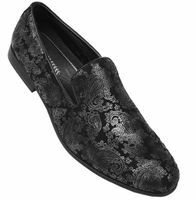 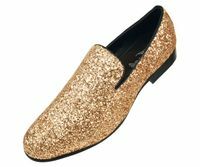 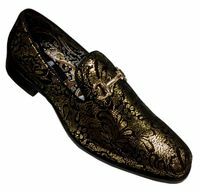 These dress shoes are also perfect for Stage Singers and Performers who entertain in places like Las Vegas. 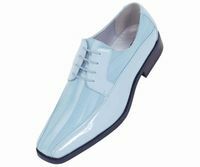 Entertainers always need to have people focus on them when they are performing and usually wear colorful suits and jackets to emphasize their talents. 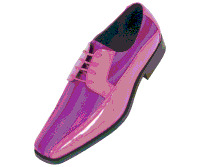 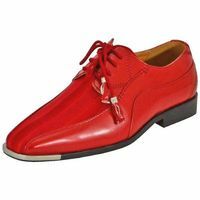 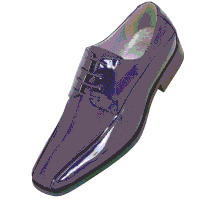 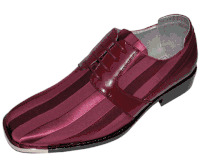 These colorful dress shoes will be a great addition to any entertainer's fashion wardrobe.